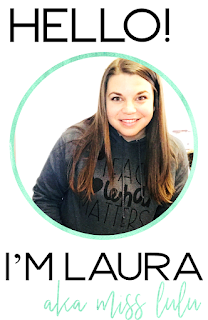 I've had several people ask me about the custom planner I had printed this year, so I thought I'd do a quick blog post about it. I've seen some great planners for lots of money online and there are also some cute ones on TpT but I didn't want to spend money on something that I wouldn't use consistently. 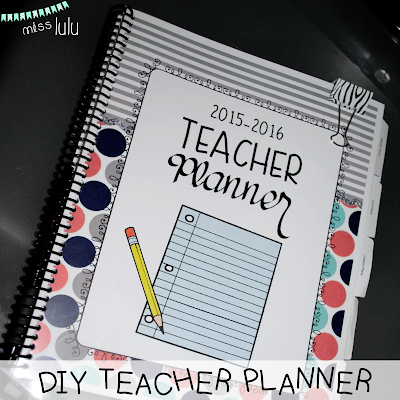 This year I created a planner that I can use for school, grad school and TpT. I love that everything is in one place! I made my template in Word and PowerPoint and then used FedEx's online printing center to have it printed. It takes some time to mess with the settings and get the pages the way you want. I recommend using several different files instead of one big one. It's easier to make sure the pages end where you want them to and you can specify which documents you want printed in color. 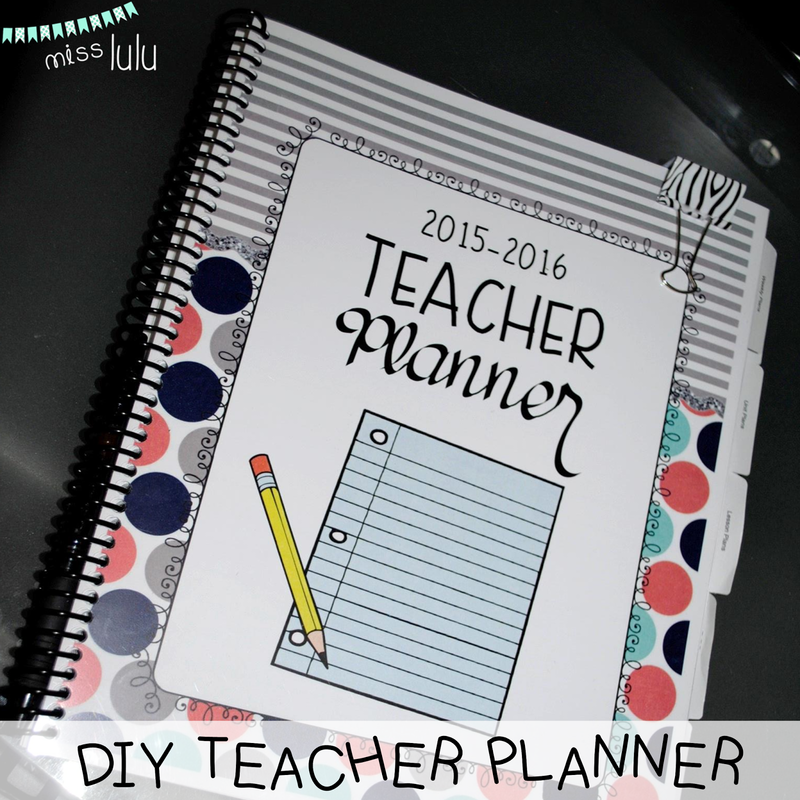 My weekly planner, lesson plans, blog planner, and TpT planner were all separate files. I added tabs and a clear cover for my planner as well. One thing I would have done differently is had the tabbed pages laminated. They have already bent and I don't think they will last very long. I got the free blog planner from 7 on a Shoe String. I found a 20% off coupon by searching online (ALWAYS DO THIS!) and the total cost for my 150 page planner was less than $30. FedEx called me to come into the local store when they had everything printed to make sure it was in the correct order before they bound it. You may want to request this if you order online. I'm so happy with how it turned out and I love that it will work perfectly for my needs since I designed it! What do you use for a planner? Do you prefer a paper planner or do you use your phone/computer? I had my planner for the purpose of scheduling and planning things ahead of time.